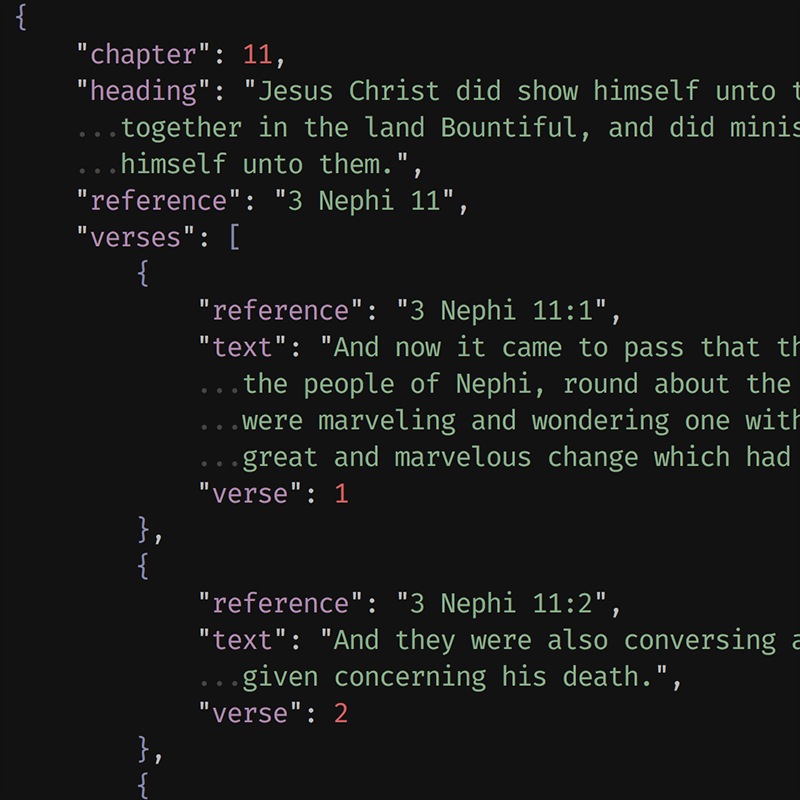 I’ve released a JSON version of the Book of Mormon. Also available on GitHub. Note: there’s an existing JSON version at the Mormon Documentation Project, but it has some unnecessary content (database IDs, duplicate info, etc.) and isn’t structured hierarchically. I did however use the MDP SQLite file to extract the text for this, then added additional content (title page, the book/chapter headings that were in the original text, testimonies) and made the changes from the 2013 edition. Anyway, enjoy. I plan to do the same thing with the other volumes in the standard works. I’m also planning an expanded version of the Book of Mormon with extra metadata (people and places mentioned in each verse, author of the verse, etc. ).